BJA were commissioned to prepare a Masterplan to test the capacity of the school site to incorporate the existing early childhood centre + primary classrooms with the addition of classes 7-12 and associated facilities. 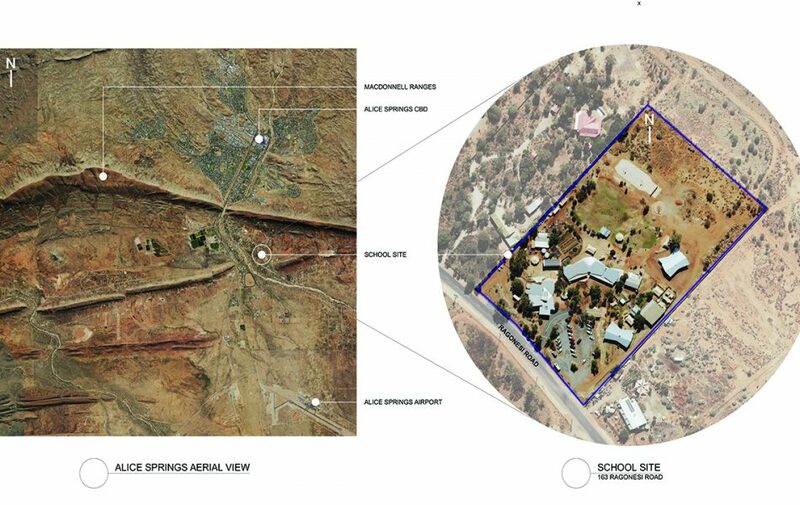 BJA explored the physical site opportunities and challenges in this unique Central Australian environment as well as the School’s ambitions and priorities, all filtered by an independent financial feasibility analysis. 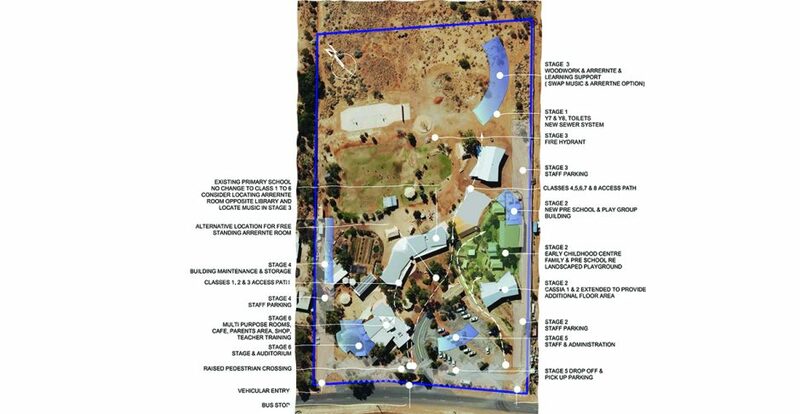 This analysis looked at matching the pedagogical needs of the schools growth with suitable stages incorporating facilities, services upgrades, landscaping and site works. Central to the implementation of the Master plan will be the reconfiguration of the parking and drop off & pick up space to free additional land and remove the cars from dominating the entry experience.